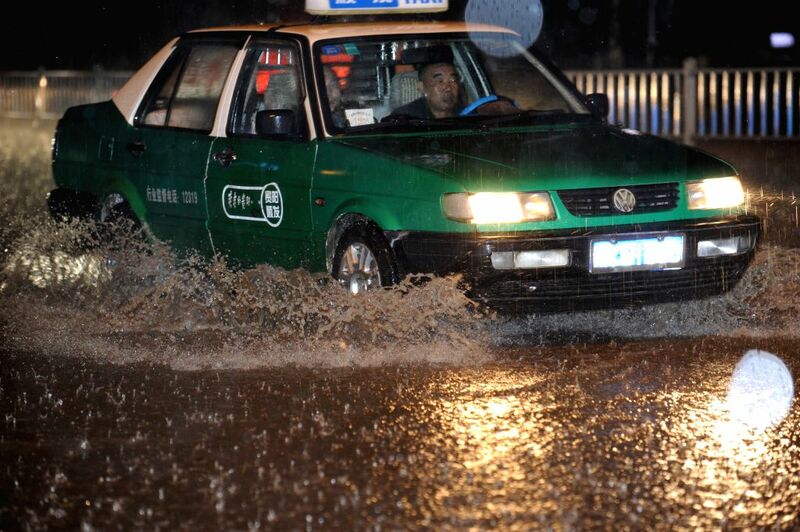 GUIYANG, May 10, 2014 - A taxi runs in the floods in Guiyang, southwest China's Guizhou Province, May 10, 2014. A heavy rain and hailstorm hit some regions of the province from late Friday. 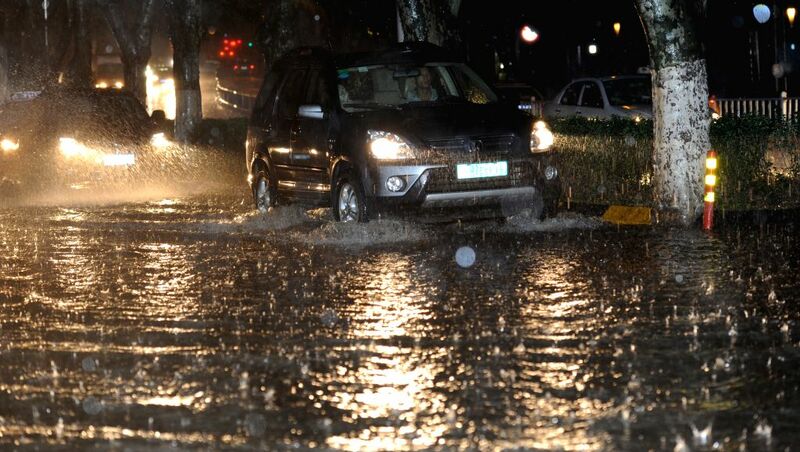 A car runs in the floods in Guiyang, southwest China's Guizhou Province, May 10, 2014. 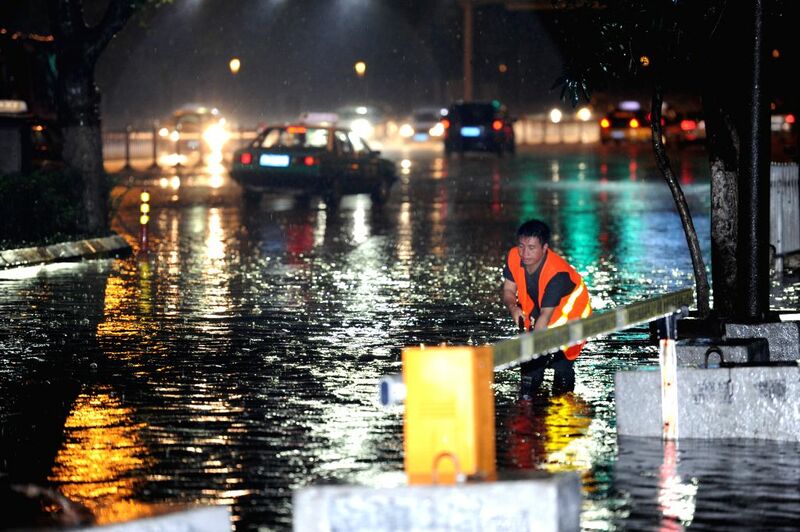 A city worker clears drain outlets of a street in the floods in Guiyang, southwest China's Guizhou Province, May 10, 2014.